After emailing the company Fresh DJs, we received this excuse for an autograph a couple of weeks later. 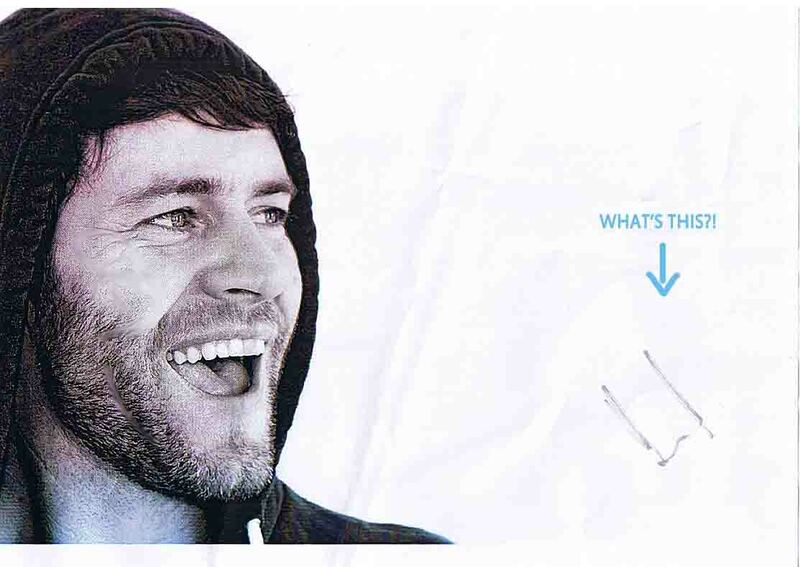 It came in a large envelope, and as we took it out it looked like a rubbish, badly-taken photograph of Howard Donald on a scrunched up, slightly torn piece of A4 printer paper with an awful little "signature" that looked more like a stain! This is by far the worst autograph we have received and we have burnt in a fire in our back garden!! At least we didn't have to send an SAE! What a waste of two envelopes, a piece of paper and two stamps that would have been! TAKE THAT HOWARD DONALD!